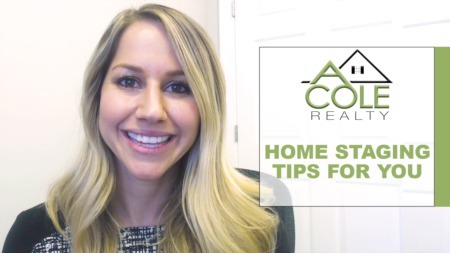 For today’s topic, I’ll give you some pointers and tricks for sprucing up the curb appeal of your home in order to draw in more buyers. My first tip is to fix up your entryway. Most buyers will spend the better part of the showing around the entryway area of the home. Commonly, the buyer will climb the steps of the porch and, just before going through the front door, take in the full view of the front of the property—including the entryway. Because of this, you’ll want to make sure that your entryway really pops. What’s the best way to do that? For one, power washing your home is a must before your home goes on the market. Another thing to do is paint the exterior of your front door. But don’t get carried away: The color should coordinate well with the interior doors and the rest of the home, inside and out. Adding some security lighting will also go over well with buyers; this could be in the form of floodlights or spotlights. Security-consciousness is increasingly on homebuyers’ minds, so when they’re approaching your home, especially at night, give them the peace of mind that they’ll be safe living there. Next, give your mailbox a makeover. Assess the condition of your mailbox and decide whether it needs replacing or just a fresh coat of paint. You can also add some paisleys or plant flowers around it—whatever gives your home an overall inviting appearance. Speaking of painting, be sure to paint the trim, siding, and railing of your home. All of these tips will serve to make your home feel more inviting, and that will make the buyer feel at home. It’ll also signal that you’ve poured a lot of love into your home and taken great care of it. 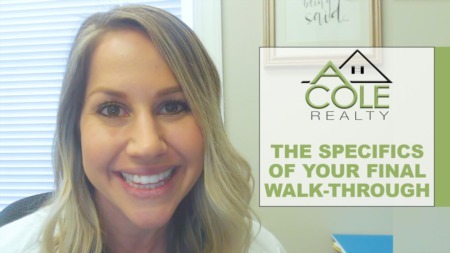 If you’d like more ideas on how to freshen up your curb appeal, are thinking about selling your home, or have any other questions related to real estate, please give us a call at 919-538-6477 or visit us online at AColeRealty.com. We’d love to help however we can!